I have recently decided to start making ethical choices with my beauty products. This means going cruelty free and trying to wean myself off toxic chemicals wherever possible. A quick google search will show you which brands are cruelty free and surprisingly, in this day and age, the list isn’t as big as I thought it would be. 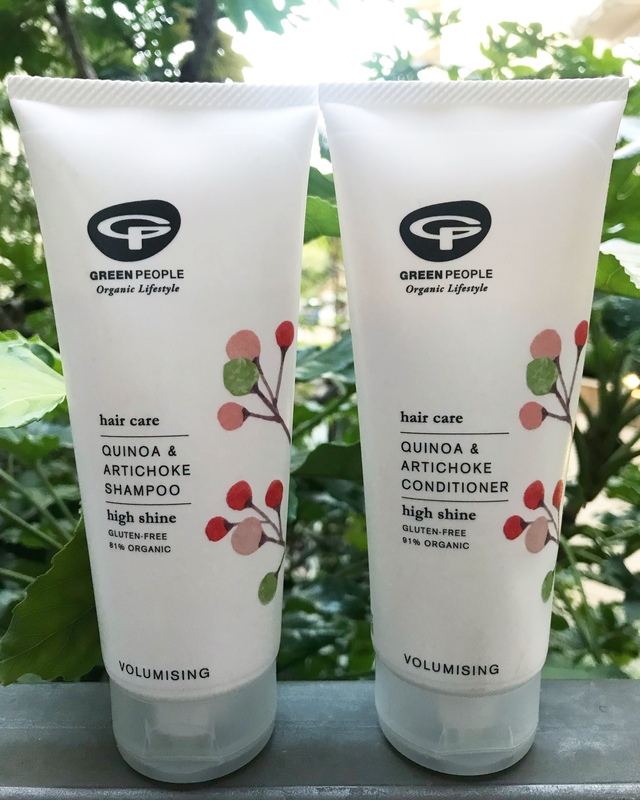 Cruelty free hair care is less easy to find, but luckily, I came across Green People who make skincare, makeup and hair care that are ethically sourced, organic and cruelty free. I tried the Quinoa & Artichoke Shampoo & Conditioner which I loved using. This hair care range is infused with superfoods – Quinoa protein which nourishes each strand for up to 50% more shine, Artichoke oil to smooth the surface, reduce frizz and deeply condition the hair, 8 essential amino acids to coat the hairs shafts for thicker, more manageable hair and Antioxidants to protect and repair damage caused by exposure to UV radiation. Finally, it contains Lemon Peel & Ginger which makes it smell citrusy and slightly sharp, waking you up every morning. Unlike a lot of other organic shampoos which contain really thick ingredients such as coconut to wear the hair down, Green People use ingredients which actually foam up, making hair feel squeaky clean and feel fresh. My hair is shiny, glossy and full of volume. It really didn’t feel like the usual organic, paraben and sulphate free products at all. Previous The Wet Detangler – this new Hairbrush from Tangle Teezer is even better than the original!